At least 13,000 people joined Labour last week and most of them did so to support the party’s under pressure leader Jeremy Corbyn, according to ITV’s political editor Robert Peston. Peston posted on social media saying that 60% of people who have signed up to the Labour Party last week gave “supporting Corbyn” as the reason why they joined. This surge in new members comes as pressure is mounting on Corbyn to step down after the most difficult week of his leadership. More than 50 frontbench MPs have resigned from their positions since the EU referendum. Corbyn also lost the vote of “No Confidence” with only 40 supporting him in Monday’s vote, versus 172. Peston reported that many of the new members signed up directly via a link posted on Momentum’s website. Momentum is a left-wing grassroots organisation that supports Corbyn. If Peston’s information is accurate then it will be very worrying news for anti-Corbyn members of Labour who seek to have the embattled leader replaced. That is because if Corbyn refuses to resign, then the party’s leadership will likely be decided by an election that will be open to all party members to partake in. Corbyn won the last leadership contest with a whopping 59.5% of the vote, and Peston’s post indicates that the current Labour leader remains hugely popular with large numbers of Labour members. 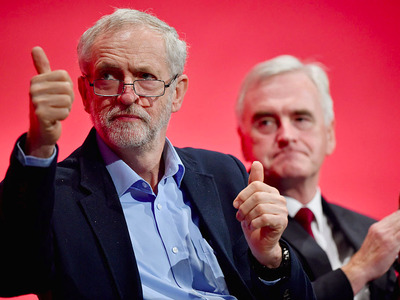 Herein lies another major element of the crisis that is currently engulfing the party: The will of Labour parliamentarians appears to be at totally at odds with a large section of the party’s public support. It was the large public support for Corbyn that the Labour leader cited as the reason why he won’t step down.